I'm still getting used to the idea of all this Vertigo business. First, there's the issue numbering -- there's no indication that there was ever an American Splendor prior to Karen Berger getting her hands on it, so someone approaching these books for the first time would never know that Harvey Pekar spent several decades in the underground/indy wilderness before moving his endlessly acclaimed series first to Dark Horse, then to Vertigo. 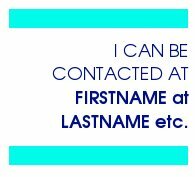 Perhaps Karen thinks it's only really being published now, and the lack of a volume number is some kind of aesthetic statement or something. Everything right and wrong about Harvey Pekar's collaboration with Richard Corben summed up in two panels, from American Splendor #2, ©2006 Harvey Pekar and DC Comics. 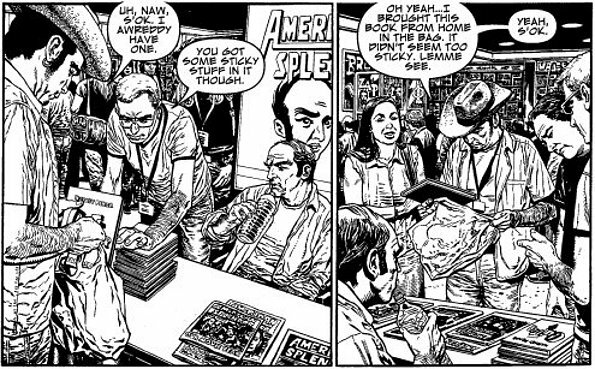 Chris Weston's art is perfect for this sequence from American Splendor #2, ©2006 Harvey Pekar and DC Comics. 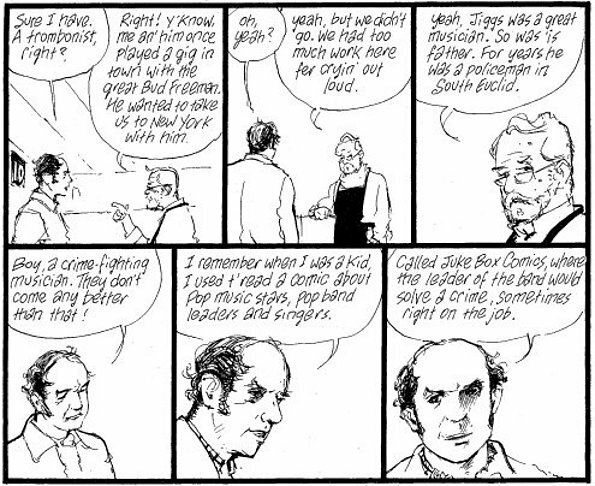 Eddie Campbell draws talking heads; a good opportunity wasted in American Splendor #2, ©2006 Harvey Pekar and DC Comics. If I haven't really mentioned Harvey Pekar's writing yet, it's because there's almost no need to do so. At this point he's an irreducible unit, his anecdotes and asides honed to a finely tuned formula that conveys perfectly the values and worldview he's trying to impart to the reader. I've heard any number of people describe the title of his longrunning comic as being somehow "ironic," but it seems clear to me that such people miss the point. Pekar means it from the heart: The everyday world does indeed contain considerable joy and sorrow, scope and beauty -- in other words, splendor -- embedded in every moment, if only one knows where to look. Harvey Pekar has spent the last three decades of his life learning not just to look, but to capture it on paper in such a way as to convey his message even when filtered through the hands of whatever artist he could rope into doing the job at a given moment. Regardless of who draws it, there's no mistaking a Harvey Pekar story in temperment or presentation, and few artists can take minor incidents and turn them into philosophical statements as casually or with as much feeling as Harvey Pekar. His editor and publisher may still be figuring out how to present his work, but Pekar himself has been ready for prime time for years. It's always a pleasure to see American Splendor.